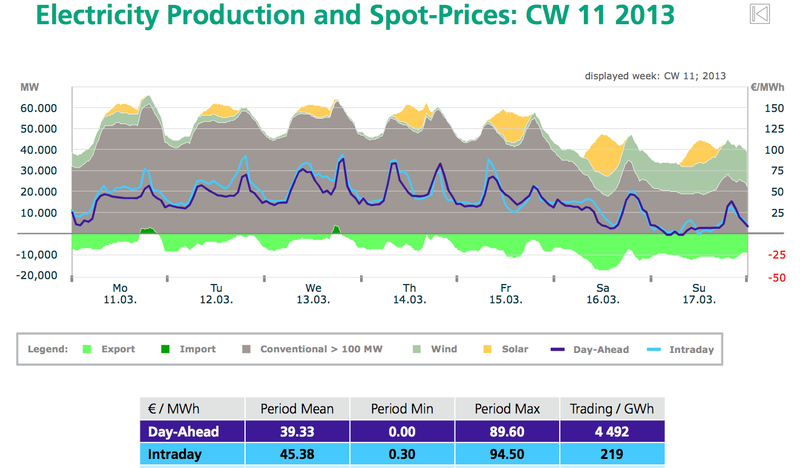 electricity prices Archives - Solar Love! Home Tags Posts tagged with "electricity prices"
A reader recently shared some great Fraunhofer reports on renewable energy in Germany with me. One of them I had already written a pretty long article about back in November, but the second I don’t think I’d seen. 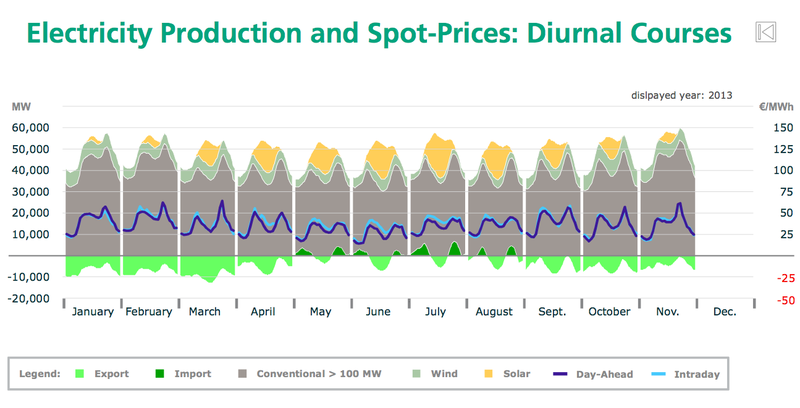 It’s an extensive look at electricity prices and production data in 2013. It’s got more charts on electricity prices than I care to count. However, a few of these I thought I’d share just to make a point I haven’t made in a while. The point is that solar PV production comes at times we need it most. When the sun is shining, we also tend to be using a lot of electricity. 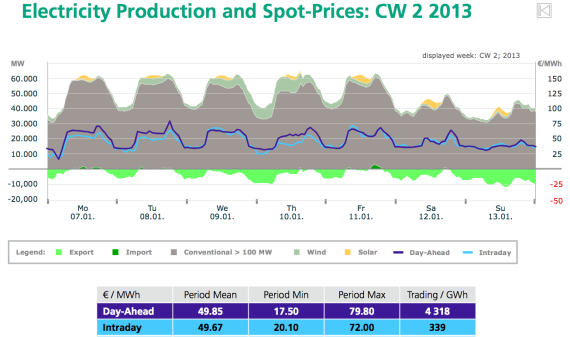 Historically, due to a limited amount of power capacity on the grid, that increase in demand meant an increase in the wholesale price of electricity bid on the spot market. 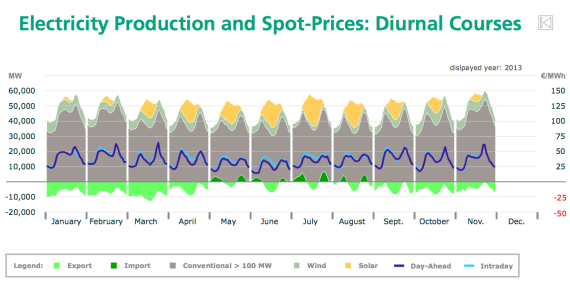 However, when solar PV penetration really starts to get up there (as it has in Germany), that boost in midday production results in a drop in wholesale power prices — solar bids everyone down. 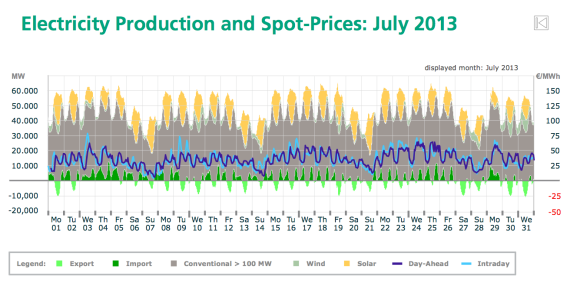 In the first chart below, you can see how electricity prices trend up with electricity production/demand in the middle of the day (when not much electricity is being produced from solar energy). In the next three charts, you can see how solar PV production results in electricity price drops similar to those seen in the middle of the night when electricity demand is really low. For more details and analysis on this matter and others related to electricity prices in Germany, check out the full Fraunhofer report.